Yeah, PSP version it is. As an added bonus, with this version I can play in Japanese to make the hints from the NPCS even more incomprehensible than they already were! Okay, I’m not playing in Japanese, but I might on a replay. Seems educational. -I end up skipping the opening FMV. It’s weird: I have the patience to grind for hours, but spending a few minutes watching an added-after-the-fact FMV is just too much for me. I even tried to watch it, but it was some generic thing about a dude and a dragon that seemingly has nothing to do with the game and I could not find it in me to care. I feel kind of guilty, since all Square apparently wants to do nowadays is make pretty FMVs, yet I can’t even be bothered to indulge them. 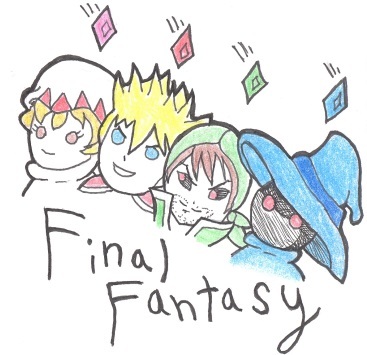 -My party: I wanted to have the “default” FF experience to start, so I used the default party: Warrior, Thief, Black Mage, White Mage. I am somewhat sad that I’m not using a Red Mage, since I have fond memories of the “Red Mage is a pimp” jokes from old Eight-Bit Theater strips, but that’s kind of bizarre if you think about it; for a long time, I knew more about webcomics based on this game than the actual game. 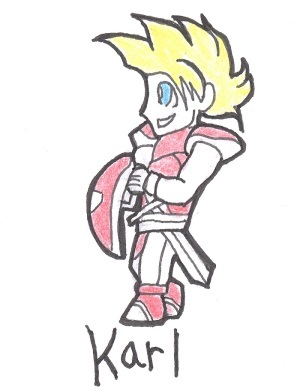 Warrior: Karl. Male alternative to Karen that I often use in games; my grandfather, who I’m named after, was Carl. 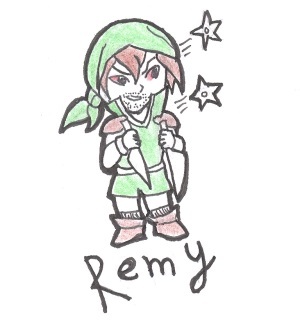 Thief: Remy. For me, all thieves are actually Gambit from X-Men, it can’t be helped. I imagine he is very sneaky. White Mage: Aureli. One of the generic names in Final Fantasy Tactics Advance (which I guess I might blog about a million years from now if I get up to it) was Aurelie, and I’ve always been very taken with that name for a healer-type. Unfortunately, I can’t have seven letters, so I make due. Yes, I am a proponent of the “White Mage is a lady,” theory, thus the female name. 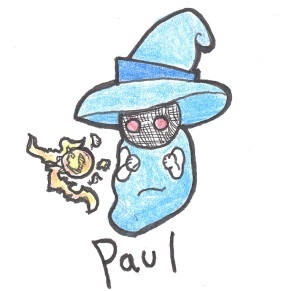 Black Mage: Paul. I just like the name Paul. If I have a son, I will name him Paul, whether or not he is a Black Mage. Go forth, my future child. He is actually the leader of this party, Karl is just confused. –From the very beginning, I am miserably overleveled. I remember the first boss, Garland, being somewhat tough if you fight him when you’re too green, so I spend some time in the forest beefing up my people at the expense of the local Goblin population. Somehow, I end up getting to level 4 in the process of making enough Gil to buy everything in town, then the boss is a joke by the time I finally drag myself over there. That’s my approach to RPGs: I’m so afraid of embarrassing myself by getting my party wiped out by a boss that I overlevel to the point of indolence. I’m pretty sure that says something unflattering about me. By the way, I’m in a constant state of annoyance that Remy is a thief who cannot steal. What kind of a thief is he? Yes I know, “but he becomes a Ninja!”, that’s beside the point. I want to accrue imaginary items and he’s not helping, thus he is part of the problem. -Yes, the first quest is “Save the Princess!”, but I kind of admire that. It’s like this game gets that old chestnut out of the way as soon as possible so you can move on to more interesting things. If you have some guts and don’t overlevel yourself to demigod status like I did, you can be done with princess business not five minutes into the game. -Just what is the deal with the Dancing Girl? Why does she know everything? I think it’s supposed to be because the Dancing Girl moves among the lower classes, including migrants, thus hears more news than the rest of the town. It’s interesting when you think about it though; the Dancing Girl is technically more knowledgeable than “the Sage” you meet later. 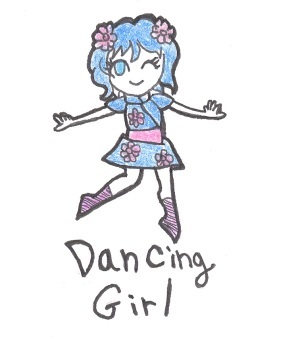 Dancing Girl: knows everything about everything for the first portion of the game. The Sage: Gives you a stick so you can further explore one dungeon, and is otherwise useless. -I make it to Provoka. Illustration of how overleveled I am: husband asked me how I found the fight with the pirates in town. I said, “Oh, I just cast Fira on them,” and he just gives me A Look for while. Yeah, well, I do, husband. You married a woman with an overleveling problem, and I married a man who stopped playing FF7 after Disc One. We all have our crosses to bear, and now I have a boat. -I get Aureli a mallet. Her cure spells are pretty low-powered, so it’s often more useful to have her attack in battle and just spam heals in the menu in between battles. 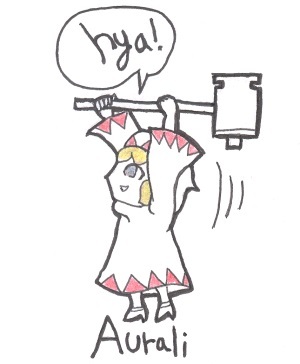 She isn’t very effective, but seeing her wield a giant hammer somehow delightful. I think Paul is smitten. I guess I have to decide for the sake of this narrative whether he’s actually a baby or not…damn. Hard decisions. That’s it for the first entry; next time, the Elves overcharge me for magic, yet I save their prince anyway. I’m chalking it up to Paul’s exemplary moral leadership.